What students do with their talents will not only shape the contributions of the institutions of society but also fundamentally alter lives around the globe. In the changing, dynamic, and increasingly global work environment, it is important for each student to reach their full potential and find a satisfying job and career. 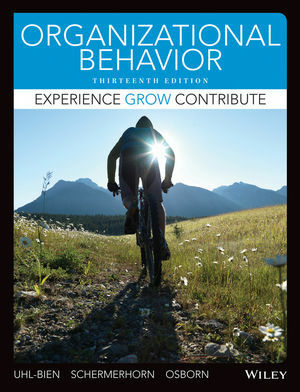 Schermerhorn, Hunt and Osborn’s Organizational Behavior continues to meets these needs by remaining the clearest, most current, and applicable OB text today. Known throughout the world for sound pedagogy, research, and theory and well-loved for a rich framework of personal and organizational skills, OB presents students with a full portfolio of skills that will enable them to thrive in whatever area of business they eventually choose. The authors’ new 11th Edition places emphases on ethics, leadership, and sustainability—with the same organization, content, and cohesive voice that guides students in the right direction. 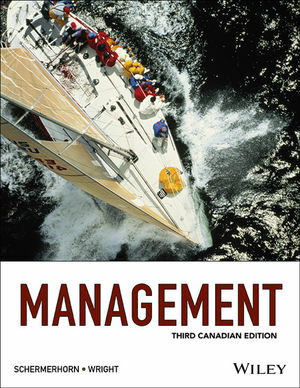 Exploring Management, 2e, by John Schermerhorn, presents a new and exciting approach in teaching and learning the principles of management. This text is organized within a unique learning system tailored to students’ reading and study styles. It offers a clean, engaging and innovative approach that motivates students and helps them understand and master management principles. 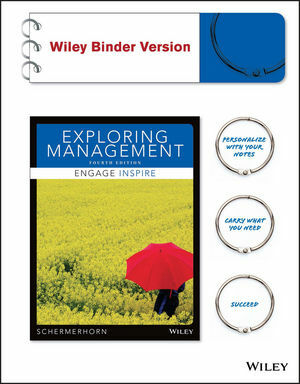 Exploring Management, 2e provides everything you need to create a learning environment that will inspire today’s students to succeed in the classroom and in the business world. The integrated resource package boasts a wealth of current and relevant resources will inspire you to create a learning environment that your students can’t wait to explore. 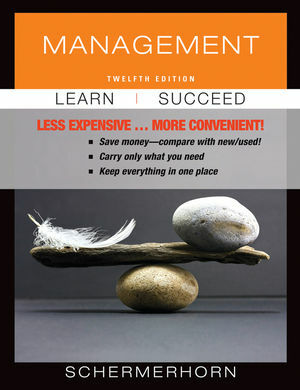 We’ve got you covered for Principles of Management with John Schermerhorn’s Management 12th Edition. From new cases and self-assessments to the Fast Company Video Series and Management Weekly Updates, the text and its comprehensive suite of resources promote critical thinking and active learning. Thoroughly updated while maintaining its trusted, balance of concepts and applications, Management 12th Edition allows you to present the most current material, help students apply theory and show relevance of management concepts in the real world—so your student will succeed in your course and beyond. 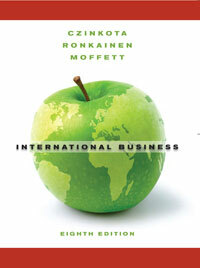 International Business, 8th edition enables students to become better, more successful participants in the global business place. The internationally cited author team of Czinkota, Ronkainen, and Moffet balance conceptual understanding and knowledge of day-to-day realities. Covering all key aspects of international business, the authors emphasize a few key dimensions: international context, role of government in international business, small-and medium-sized firms, and social responsibility. This new edition is even more global and user-friendly. Now organized into five parts, students can more clearly make connections between introductory material, the international environment, marketing, and financial considerations in the international marketplace. A truly global presentation draws on worldwide examples, trends, and data, and includes an exemplary case selection based on firms from around the world, from Vietnam and Russia, to Iceland and Turkey. With this new Wiley edition of International Business, students will better understand the intricacies of international marketplace, and be better versed in theory, policy, and strategic aspects of global economy.